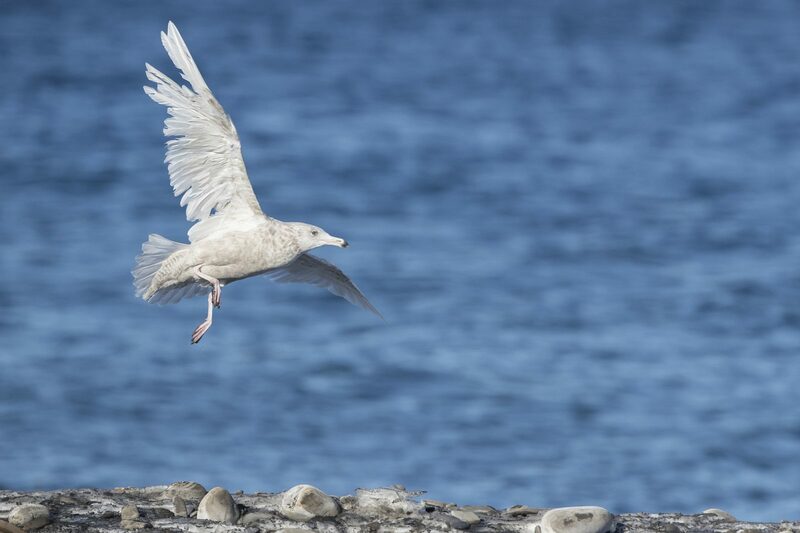 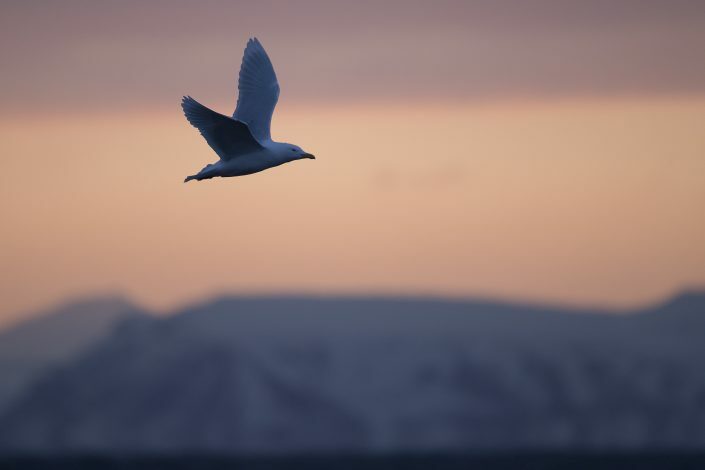 The glaucous gull is a large gull, the second largest gull in the world which breeds in Arctic regions of the Northern Hemisphere and winters south to shores of the Holarctic. 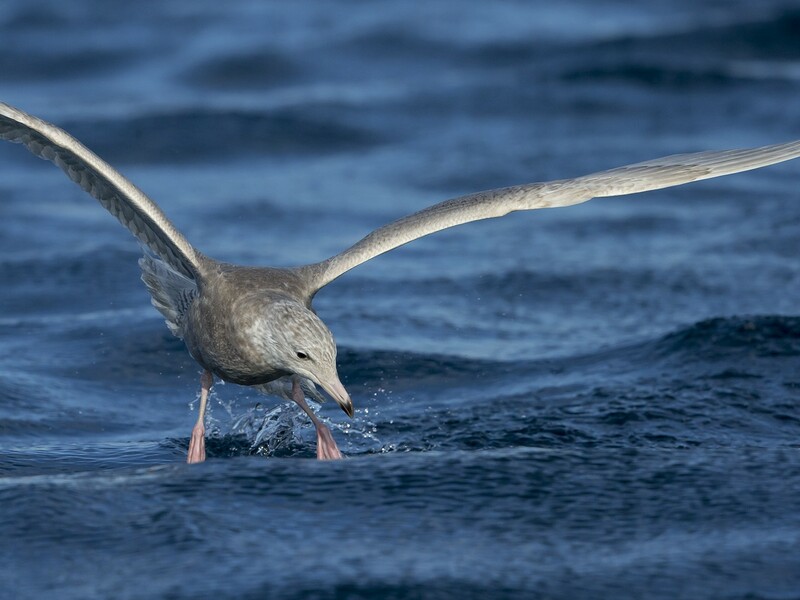 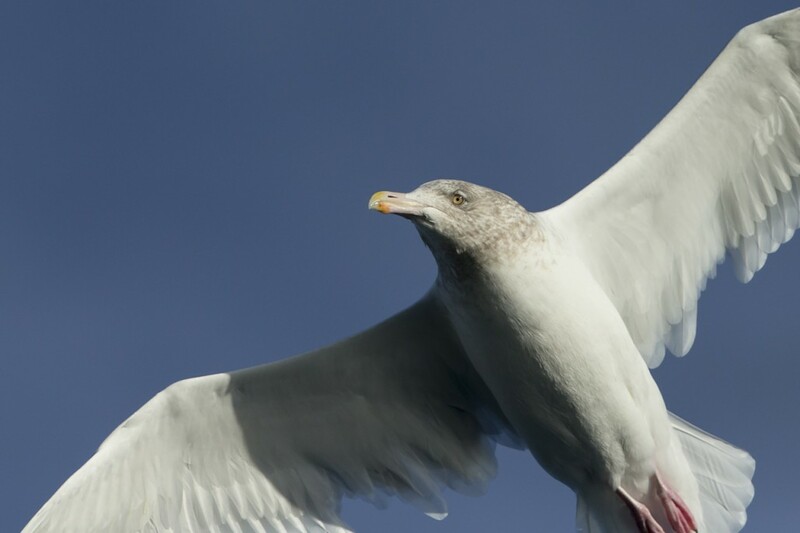 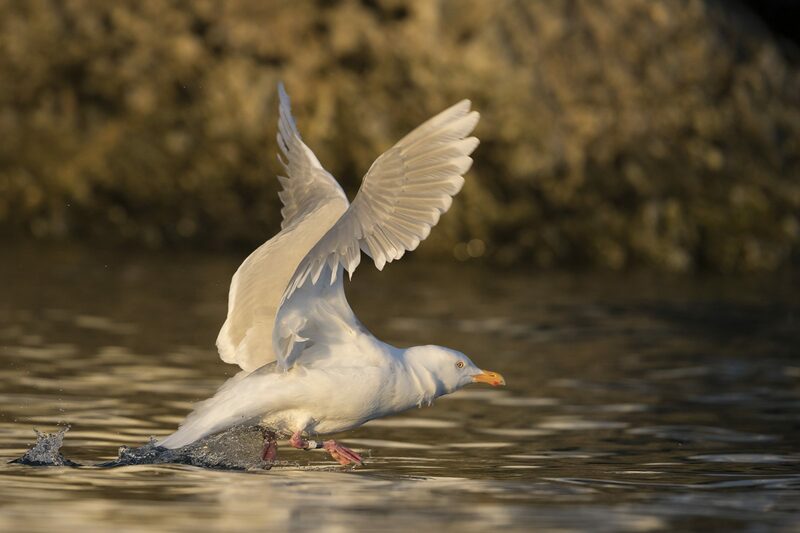 The genus name is from Latin Larus which appears to have referred to a gull or other large seabird. 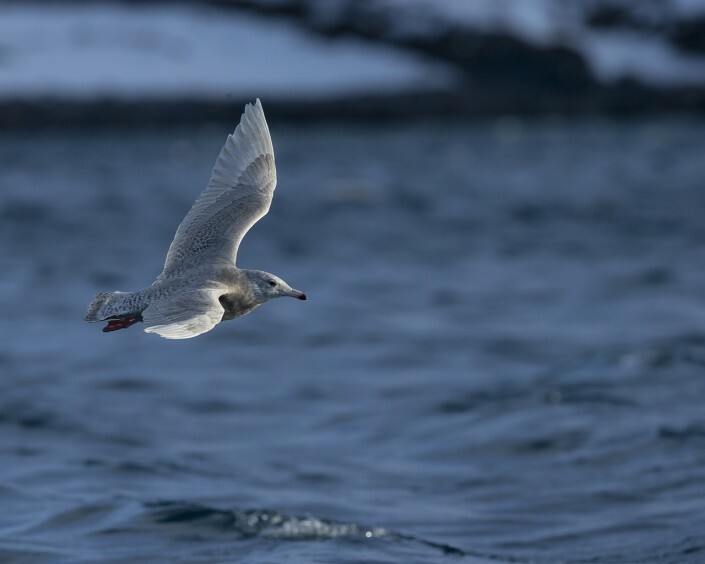 The specific hyperboreus is Latin for “northern” from the Ancient Greek Huperboreoi people from the far north “Glaucous” is from Latin glaucus and denotes a bluish-green or grey colour. 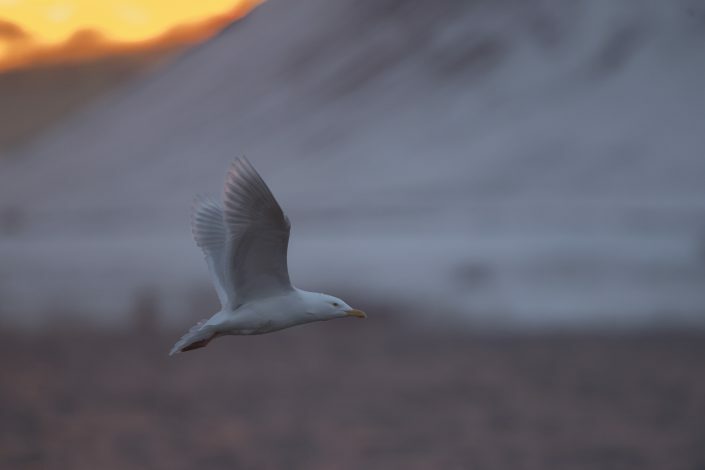 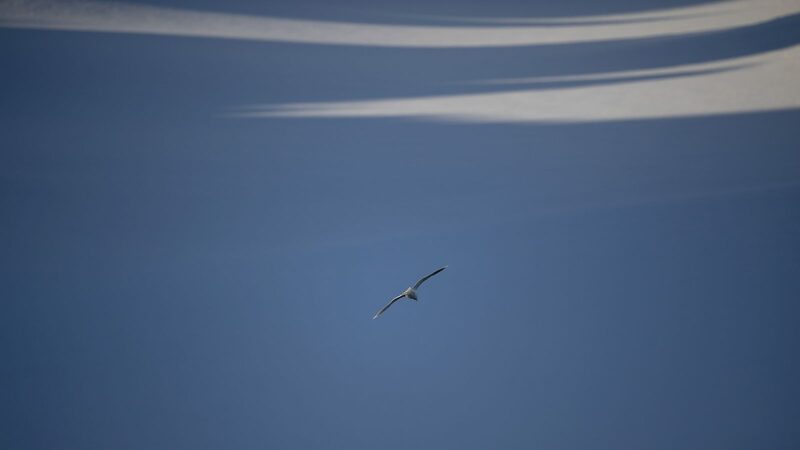 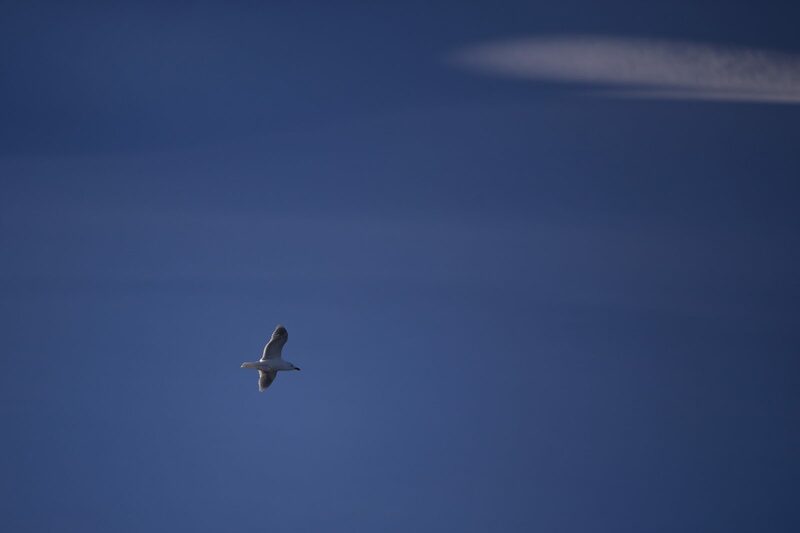 This gull is migratory, wintering from in the North Atlantic and North Pacific oceans as far south as the British Isles and northernmost states of the United States, also on the Great Lakes. 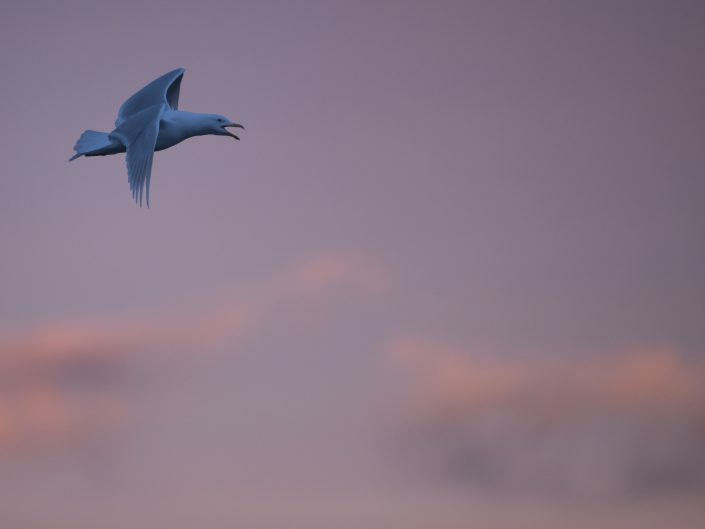 A few birds sometimes reach the southern USA and northern Mexico. This is a large and powerful gull, second largest of all gull species and very pale in all plumages, with no black on either of the wings or the tail. 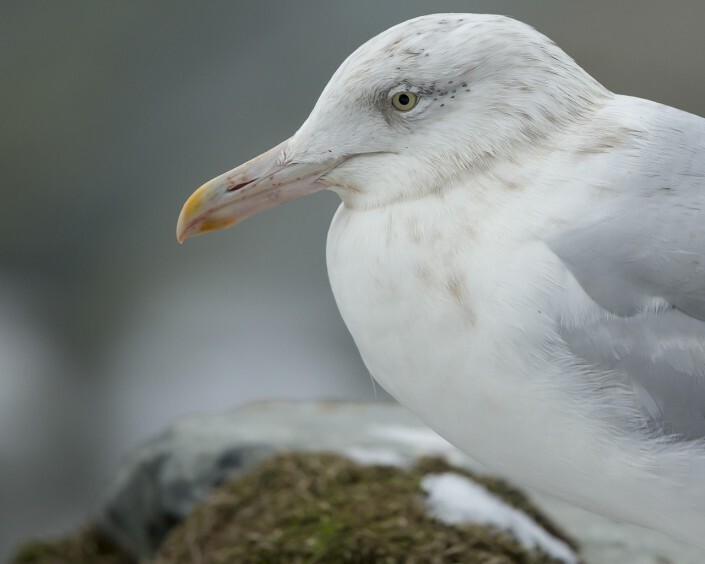 Adults are pale grey above, with a thick yellow bill. Immatures are very pale grey with a pink and black bill. 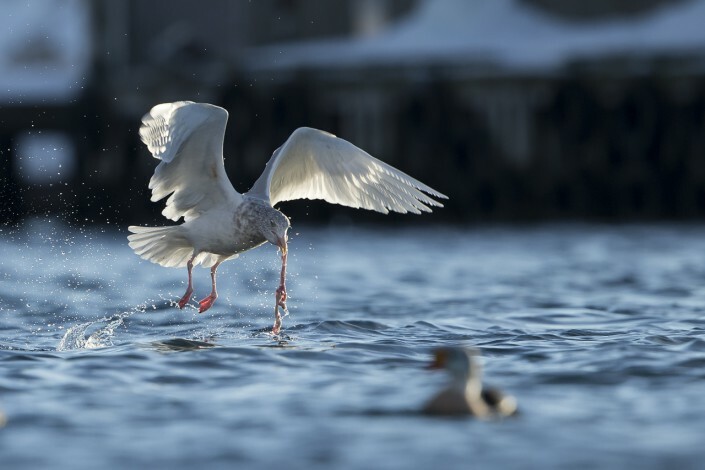 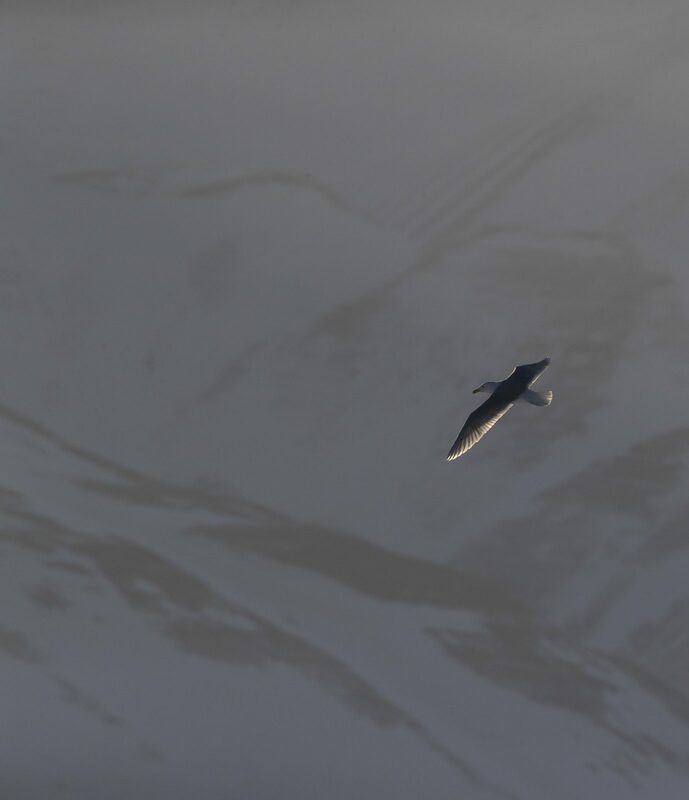 This species is considerably larger, bulkier and thicker-billed than the similar Iceland gull, and can sometimes equal the size of the great black-backed gull, the oft-titled largest gull species. In some areas, glaucous gulls are about the same weight as great black-backed gulls or even heavier and their maximum weight is greater. 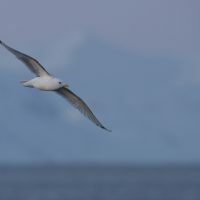 They can weigh anywhere from 960 to 2,700 g (2.12 to 5.95 lb), with the sexes previously reported to average 1.55 kg (3.4 lb) in males and 1.35 kg (3.0 lb) in females. 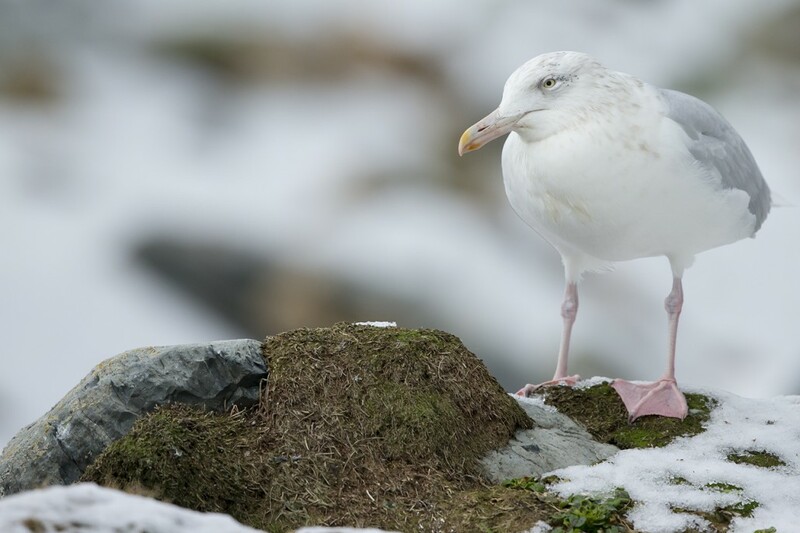 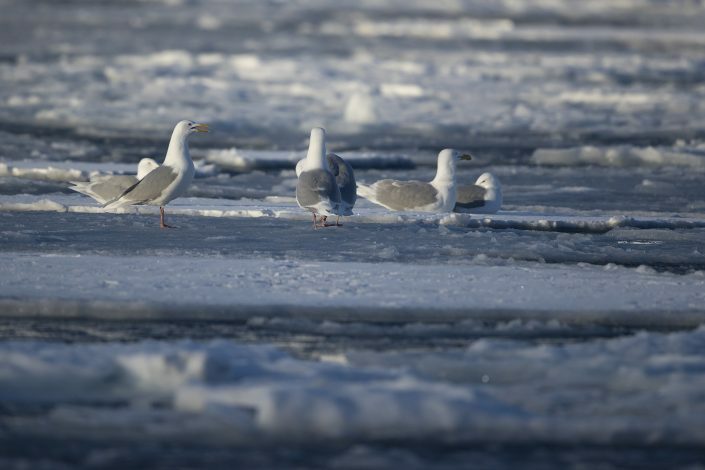 At the colony on Coats Island in Canada, the gulls are nearly 15% heavier than some other known populations, with a mean weight 1.86 kg (4.1 lb) in 5 males.